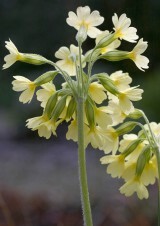 This attractive woodland perennial can be described as looking like a large cowslip with primrose flowers. Oxlip is most likely to be confused with the commoner and more widespread false oxlip (Primula x polyantha) but this plant tends to have a shorter stem and deeper coloured flowers. The most important difference between the two is the way the flowers are arranged on the top of the stem. Unlike the false oxlip in the true oxlip the umbel drops to one side (see the second image down on the right). Flowers from April to late May. 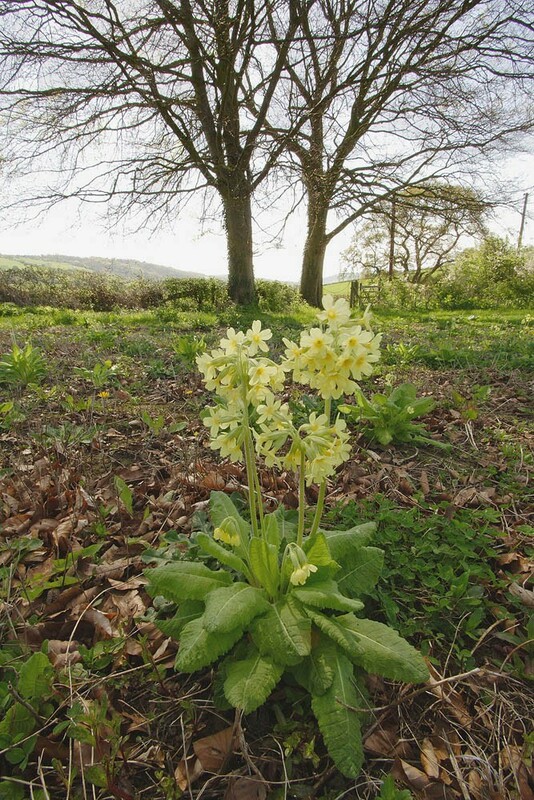 In the wild oxlips have quite exacting requirements being found in ancient woodlands dominated by oak, ash, field maple and hazel on soils (particularly chalky boulder clay) that are seasonally waterlogged and poorly aerated. It is also has a restricted range being found only in Suffolk, Cambridgeshire, Essex and just into Hertfordshire, however in those woods where it is found it can be abundant. 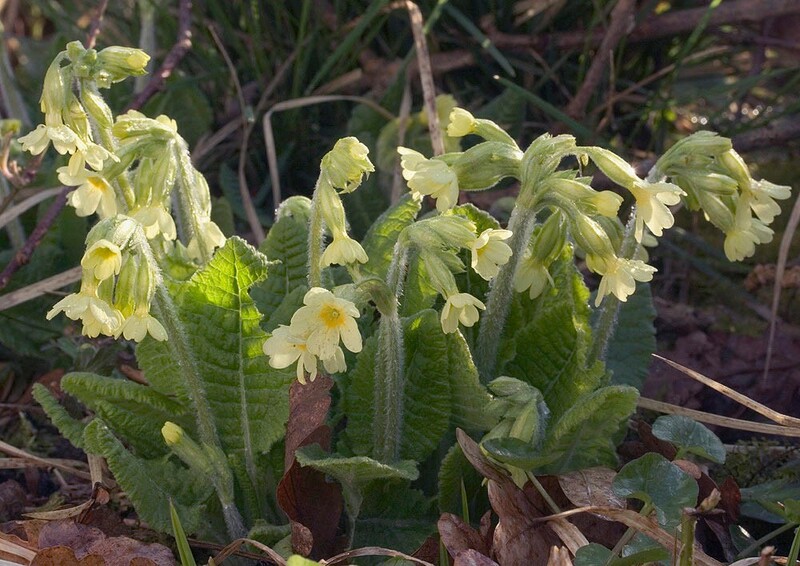 Oxlip is an insect pollinated early flowering species. It flowers in particular profusion in coppiced clearings as can be seen in woodlands like Bradfield woods in Suffolk and Hayley wood in Cambridgeshire. 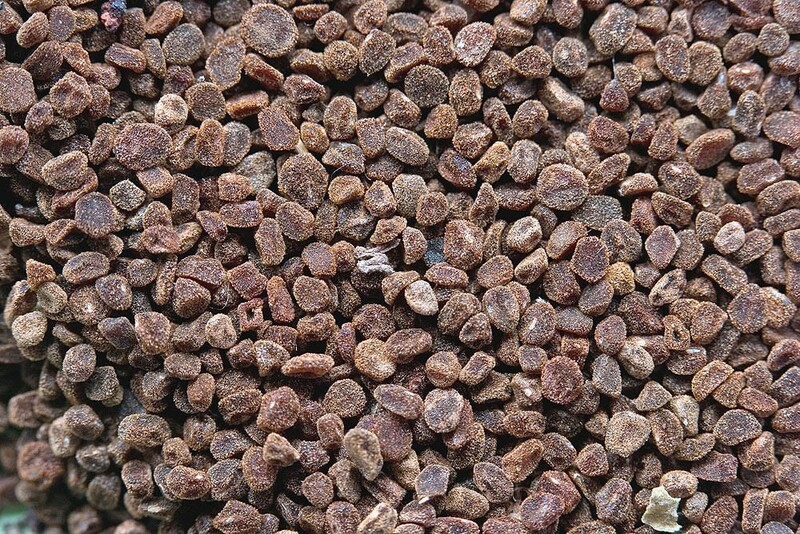 As seed requires a period of chilling to break dormancy it is best sown in the autumn. 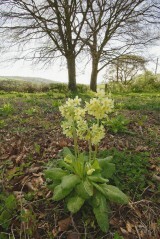 Oxlips are prone to drought and do best on moisture retentive soil in the sun or under partial shade. Although primarily a woodland plant they grow perfectly well within a meadow and work particularly well within an EM4 or EM8 mix.